Just one year after his 2733 FUE hair transplant with Dr. Rahal and Ben looks 10 years younger. Ben (not his real name) is a 37-year old Web Developer living in Toronto, ON. He plays baseball and swims on a regular basis. Ben started becoming terribly image-conscious as a result of his thinning hair. He was not ready to accept this family tradition, and decided to find a solution. Just one year after a 2733 FUE hair transplant with Dr. Rahal, Ben looks 10 years younger. He has regained his confidence and is no longer image-conscious about his hairstyle or look. People notice a change, but his new hair looks so natural that no one – not even his parents – can pinpoint he had a hair transplant! Tell me a little bit about yourself? I’m 37-years old and live in Toronto. I work as a Web Developer. What are your interests or hobbies? I play baseball on a regular basis, and I swim a lot. How did hair loss make you feel? I wasn’t happy about my hair loss. My dad was much balder at my age, so I thought it was just the way it had to be. “I look at least 10 years younger and you can’t put a price on that. It’s the best thing I’ve ever done for myself. How did hair loss impact your life – ego, relationships and career? It did have a real impact on my personal ego and self-confidence. I became more and more conscience about balding. What made you decide to do something about it? I was procrastinating about getting a hair transplant, but then one day I just called and booked the first available session with Dr. Rahal, and that was it! 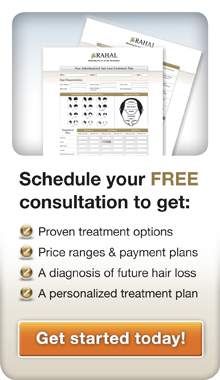 What was it that convinced you to go to Dr. Rahal for your hair transplant? Research on the web, on-line hair restoration forums and patient testimonials were the things that convinced me to go to Dr. Rahal. Also, meeting him in person helped. How does it feel to have your hair back? I’ve regained my confidence, and I’m no longer image-conscience about my hairstyle and my look. Can anybody tell you’ve had a hair transplant? It’s funny because I haven’t told anybody, (not even my parents) about my hair transplant, except for my wife… but everyone says I look “different.” Many people can’t pinpoint what has changed. So far, no one has personally asked me if I’ve done HT, but I definitely look quite different. The problems you mentioned earlier – ego and confidence – how are you with those things now? Was it worth it? What specifically has improved? Absolutely! I look at least 10 years younger and you can’t put a price on that. It’s the best thing I’ve ever done for myself, seriously. I regret that I never did this earlier. Do you have any advice for those considering a hair transplant? Just do it for yourself because it’s totally worth it in the end. Choose the right person, and don’t cut corners on your research. 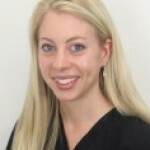 Do you have any advice for those considering going to Dr. Rahal? I’ve had an extremely positive experience with the whole process. The final result exceeded my expectations. I would highly recommend Dr. Rahal to anyone considering this procedure. Dr. Rahal serves patients from all points on the globe from his offices in Toronto, Beverly Hills, and New York. He has performed over 5,000 hair surgeries, pioneering and perfecting technical aspects including the Rahal Megasession™, during which he routinely transplants up to 7,000 grafts. 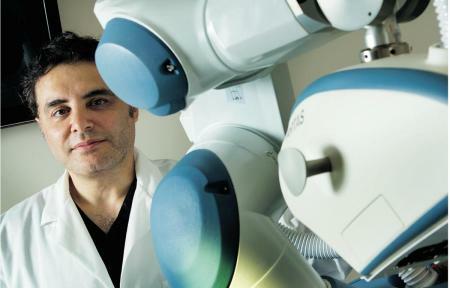 He performed the first robotic hair transplant surgery in Canada as featured on the Discovery Channel. 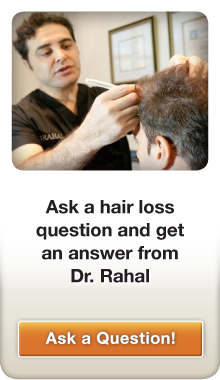 Dr. Rahal is one of today’s leading hair transplant physicians. He’s recommended by the American Hair Loss Association and recognized worldwide for producing his Rahal Hairline™. Dr. Rahal has been nicknamed the “The Hairline King™” by his patients. His Rahal Hairline™ combines his technical expertise and his artistic skills, resulting in youthful, natural hairlines with maximum fullness, density, and aesthetically-pleasing “temple angle closure” — an artistic approach to hairline design. Is male pattern hair loss inevitable in your family? Then it’s time to break the family tradition (like Ben) and act NOW – while you still have hair! Call 1-877-551-2171 for professional advice and schedule your FREE hair consultation. Are YOU a past patient of Dr. Rahal? OUR EXPERIENCES could inspire another hair loss sufferer to change his or her life as you have. Tell us about your hair loss. Tell us what it’s like to have a full head of hair again! We post the best stories on Dr. Rahal’s blog, Email us today. Desiree is a writer and blogger at Rahal. She spends most of her time researching and publishing interesting hair loss articles. Outside of work, she plays the violin (a former member of the Isle of Man Symphony Orchestra) and blogs about travel and new media.